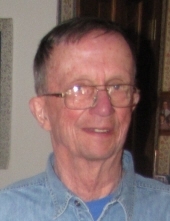 Charles Albert Schanck, 85, of Stevens Point died January 22, 2019 at Wellington Place. Charles was born March 14,1933 in Pontiac Michigan to Judith and Harley Schanck. He grew up in Ladysmith Wisconsin and graduated from Ladysmith High School. He attended UW Stout and graduated with a degree in Industrial Arts Education. He was proud to join the US Navy in 1955 and was honorably discharged in 1957. Charles met Carlene Polivka, from Sheldon Wisconsin, while at Stout and they married June 14, 1958. He taught Industrial Arts for 34 years, starting in Michigan, then Gilman Wisconsin, followed by PJ Jacobs Senior High School, teaching the bulk of his career at Ben Franklin Junior High School. His favorite activities were fishing, hunting, woodworking, collecting antique baits and spending family time at “The Shack”. Survivors include his wife, Carlene; three children, Paula (Craig) Albright of Lakeville Minnesota, Paul (Kimberly) Schanck of Plover and Kurt (Renee) Schanck of Stevens Point; six grandchildren, Bennett, Cassondra, Alexandra, Madeline, Clara and Adam. He was preceded in death by his parents, sister Judy and granddaughter Hannah. Visitation will be held at Boston Funeral Home in Stevens Point on Saturday, January 26, 2019 from 2:00pm to 5:00pm. Visitation will continue at Trinity Lutheran Church in Stevens Point on Sunday, January 27 at 1:00p.m. Funeral service will follow at 2:00p.m. with light refreshments afterwards. To send flowers or a remembrance gift to the family of Charles A. Schanck, please visit our Tribute Store. "Email Address" would like to share the life celebration of Charles A. Schanck. Click on the "link" to go to share a favorite memory or leave a condolence message for the family.